Being crafty definitely has its benefits. Having the ability to make something rather than buy it from a store can save a lot of money and can instill a sense of pride you can’t get from anywhere else. In addition, it never hurts to be your own handyman; you never know when these skills may come in handy. If you own your own home, chances are you will be presented with plenty of situations that will require some mechanical know-how. However, you can’t expect to accomplish anything if you don’t have a designated workshop to work your magic. Having a place to store tools and equipment, as well as having a designated space where you can work on projects, are must haves if you want to be productive and not misplace any of your possessions. Many of us don’t have the luxury of owning a huge garage or shed, however, so what do you do when working in a confined area? The key is to be space-saving at all times. To maximize the amount of room you have and to prevent clutter (tools can be a hazard if not stored properly), there are a number of things you can do. Here are some helpful ideas for those of you who are trying to set up shop in an apartment, condo or smaller-scale garage or shed. Take advantage of the available space in your work space by utilizing the area on the walls. 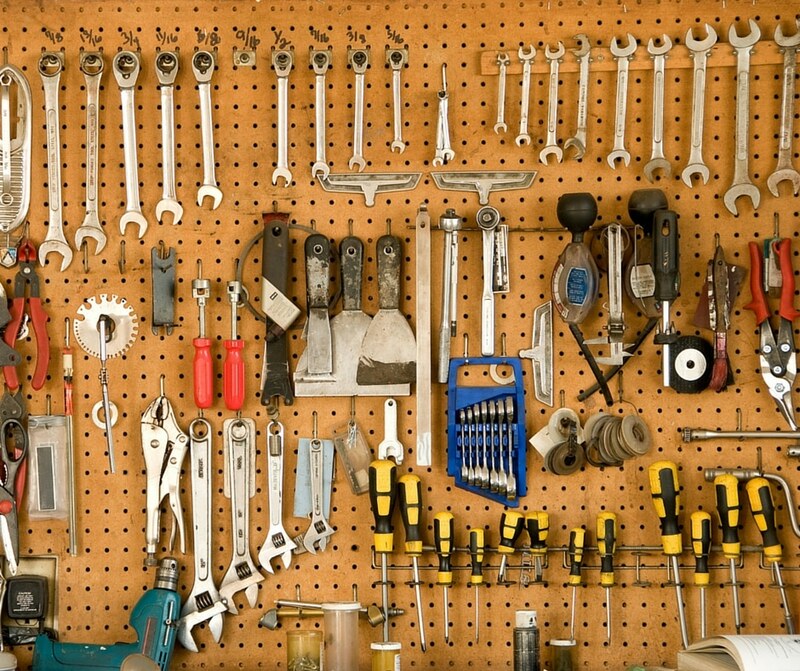 You may be surprised at how many tools you can hang up, even in the smallest of rooms. Not only does this help keep equipment off the ground or prevent it from being stuffed in drawers, it also makes for quick and easy access. Make sure to spend money on separate wall-mountable storage racks to keep all your gear organized. If you work with rebar (it’s not just for construction workers), put your rebar construction tools (like portable table saws and possibly a rebar cutter) in their own slots. Remember, the organized worker is always the most productive! This is a great tip if you don’t have room for a desk or free-standing lamp. It gives you more surface area to work within a smaller space and also looks great and is decorative. There is a reason why battery-powered devices were invented in the first place. To prevent slips and falls caused by extension cords, having portable tools on hand will eliminate this risk altogether. Remember to charge the battery or have a back-up handy before you start working, as this will keep you from having to stop mid-way through. Portable tools are also less bulky than larger stationary versions. This point cannot be stressed enough. Larger devices may need to be powered by a 50 amp 220v to run safely and properly. An extension cord is not always going to cut it, so prepare and make sure you have the appropriate outlets available in your workspace.